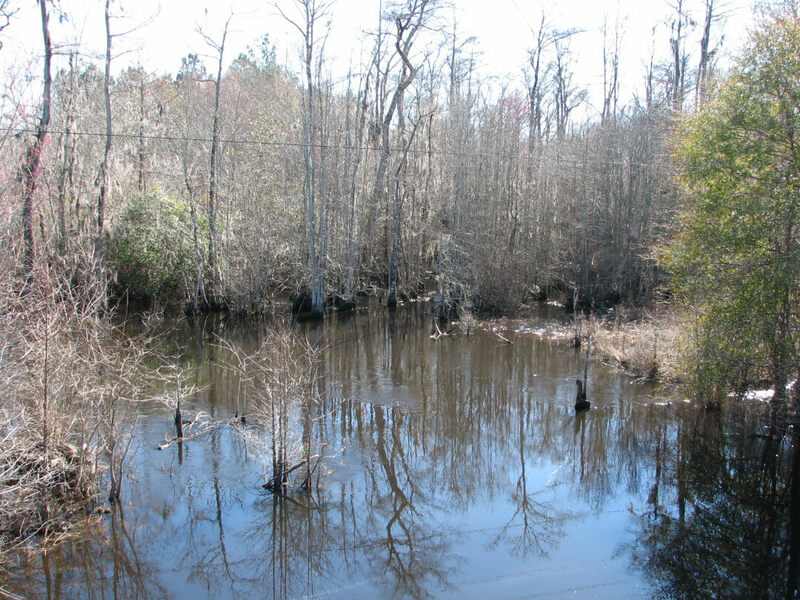 This prime hunting or homestead property is located 3 miles off I-16, 4 miles south of Metter, 20 miles west of Statesboro and 58 miles west of Savannah, GA on Highway 129. The property boundaries are formed by the Canoochee River, Fifteen Mile Creek and Highway 129 making privacy and security ideal. The land begins with a hill at the highway and gently slopes into flat basins along both the creek and river. Some 408 acres of the total acreage is under a (WRP) Wetland Reserve Program perpetual easement limiting some uses of the land. Effectively previously impacted wetlands areas have been restored and are occasionally monitored by Natural Resource Conservation Service (NRCS). Former duck ponds and other low lying areas along the river and creek are now flooded timberland in the winter providing excellent habitat for ducks and other non-game wildlife. Several smaller game food plots cultivated about the property will assure that the property holds game year-round. The upland area is covered with several species of oaks providing natural food for the wildlife. An all-weather interior road system provides access over much of the property. A 38 acre portion of the property along the highway is not included in the easement and will allow any most any use including but not limited to a home or lodge. This acreage could even be divided if desired. The 38 acres also has a deep well that has not been used in some time and electrical power service is near the well. A small pond is also located on this portion of the property. This tract is ideally diverse and well suited for the hunter/investor or could be used a peaceful family getaway. The property is well stocked with whitetail deer, turkey, wild hogs, ducks and several species of small game. Have your own wildlife refuge that is reasonably priced plus, the easement assures plenty of game and low property taxes for the future. Property must sell as a whole.